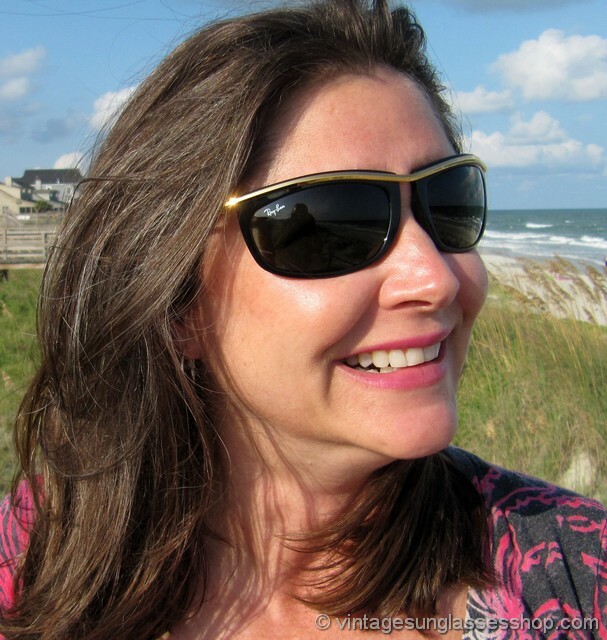 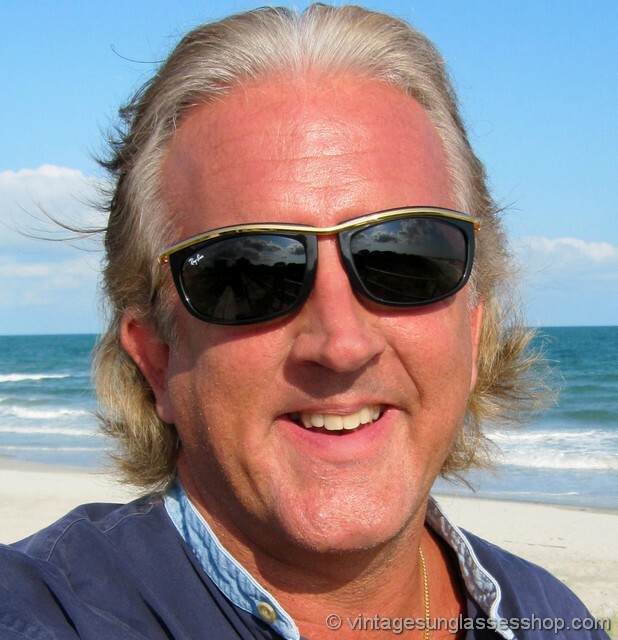 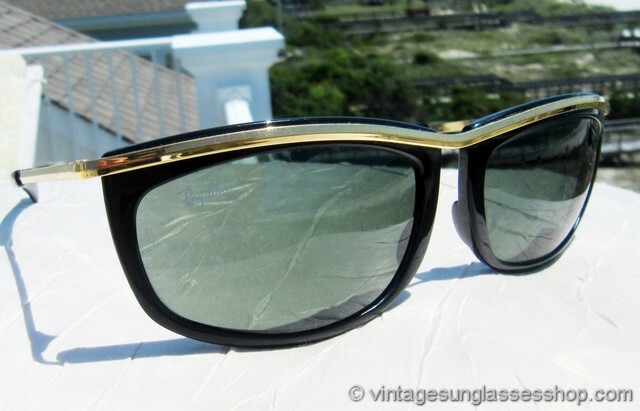 1 Vintage Ray-Ban L1000 Wayfarer Olympian I sunglasses are an icon of modern sunglasses design first introduced in the 1970s, a streamlined design that subtly wraps around the face to make them great for outside activities. 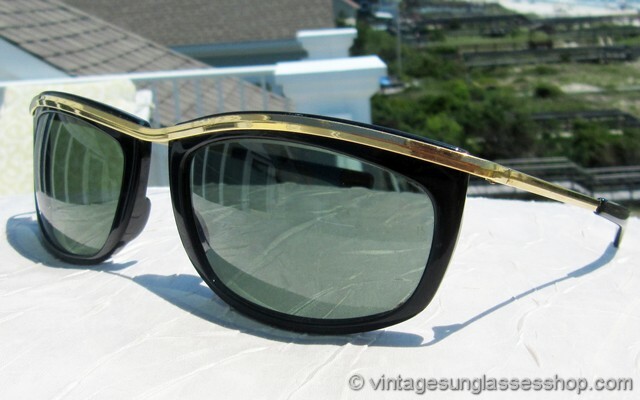 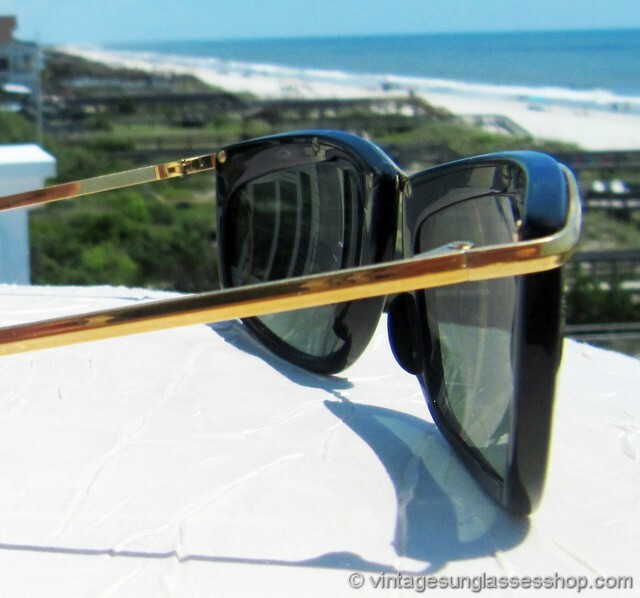 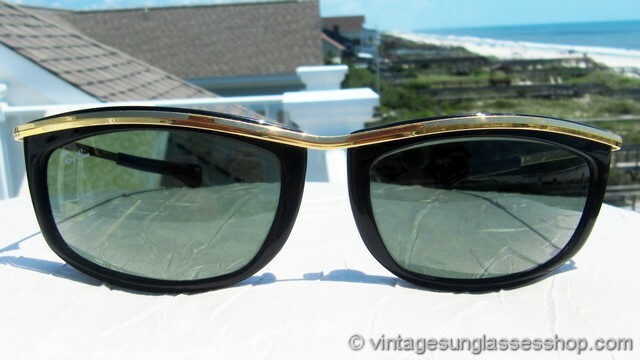 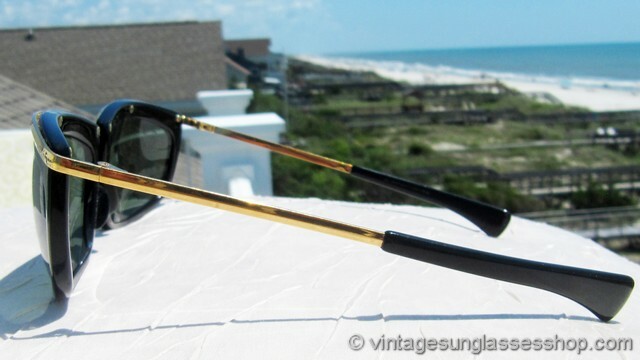 The gold bar accenting the top edge contrasts perfectly with the Ray-Ban G-15 lenses, and it continues on around the hinges to form the 2 ear stems which continue halfway down the length of the bar at which point the uniquely shaped ear pads begin. 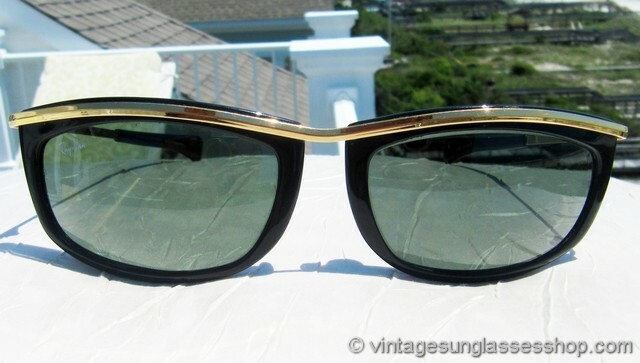 The Bausch & Lomb G-15 lenses measure approximately 2.25" x 1.675" at the widest points, and the right lens is laser etched Ray-Ban while both lenses are laser etched BL near the hinges. 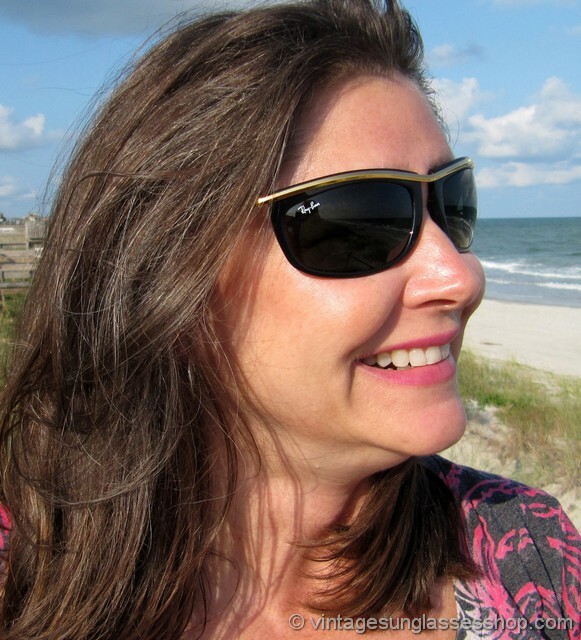 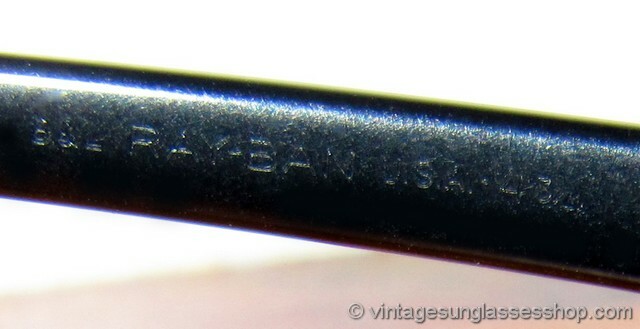 The unisex Ray-Ban Olmpian frame measures 5.5" temple to temple, and one black ear pad or the ear stem is impressed B&L Ray-Ban USA 4 3/4 while on some production the other ear pad is impressed L1000 XSAR. 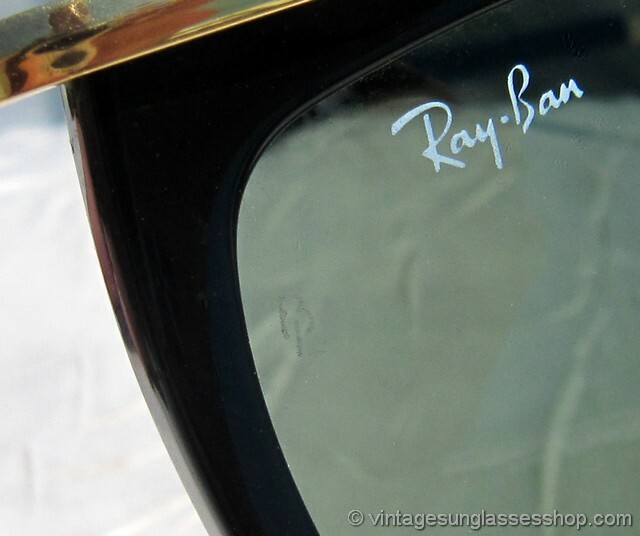 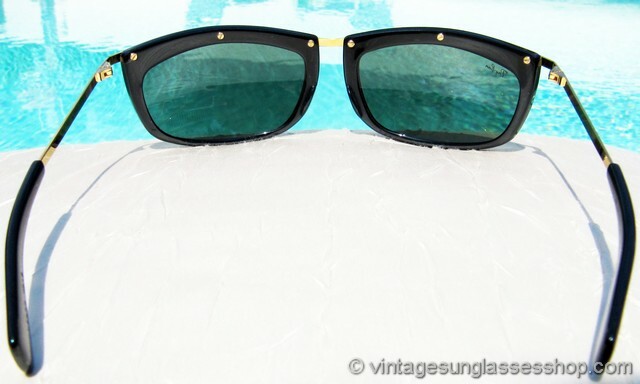 You may have seen celebtirites such as Britney Spears, Fergie, and Lady GaGa sporting original vintage Ray-Ban Olympian I sunglasses quite possibly purchased right here at the Vintage Sunglasses Shop. 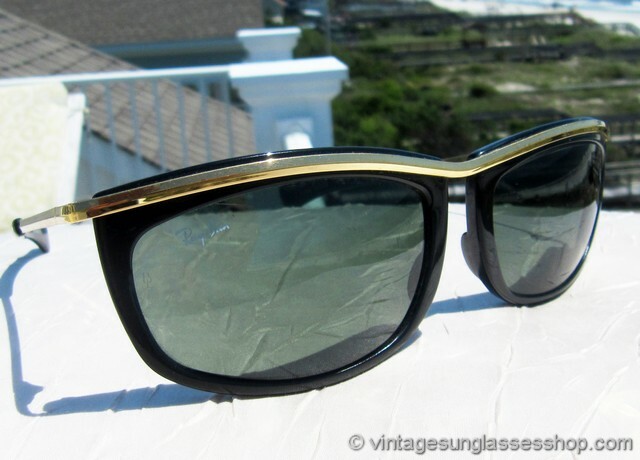 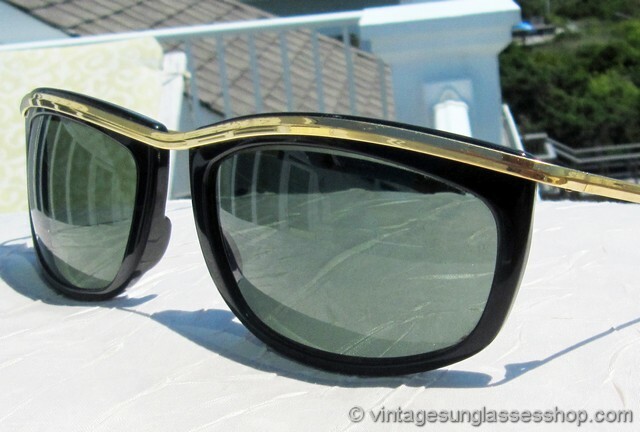 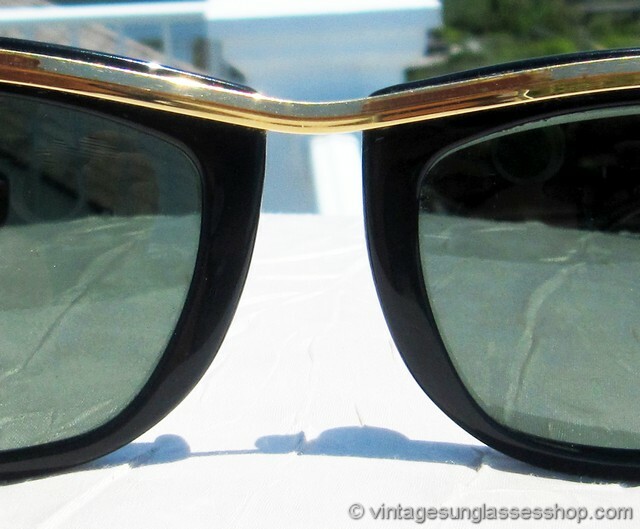 2 Step up another level beyond our already unequaled vintage condition standards with new old stock Ray-Ban L1000 Wayfarer Olympian I sunglasses in mint, unworn condition.